MCOS and myself attended a meeting with Historic Scotland at Dumbarton Rock with David Mitchell (HS Director of Conservation), Ian Lambie, (District Architect for HS) and Stephen Gordon (Head of Applied Conservation at HS): they are keen to 'de-schedule' the crags and boulders so climbing can become official, but there are a few issues to resolve first. 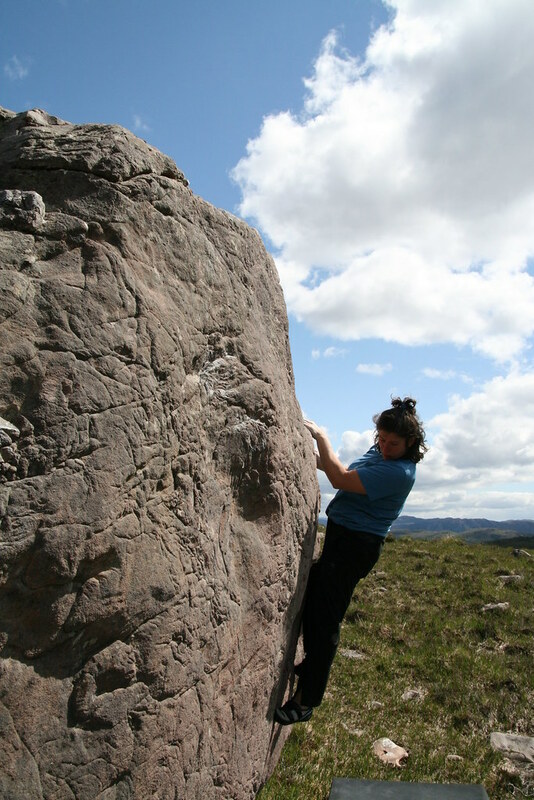 A geo-technical survey commissioned by Historic Scotland will allow a climber to accompany the survey to promote better understanding; there will be a council meeting with a climber representative to discuss landscaping; and any graffiti cleaning will be accompanied by a climber so no damage to holds is done (cleaning is a priority for the non-climbing crag face below Omerta). Cleaning methods will be discussed and whilst non-climbing rock might be blasted, climbing rock will use a non-damaging solution/steam cleaning method. 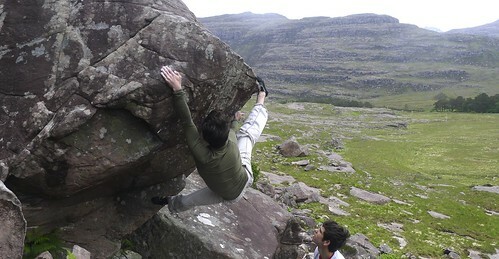 Dave reports on his blog about the success and pleasure of bouldering in wild and haunting places such as Raasay. 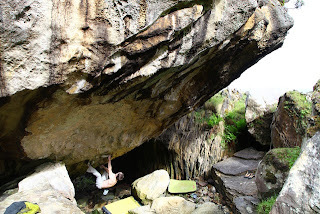 plus he bags a 7c+ classic, giving Raasay a big pin-marker on the bouldering map of Scotland! 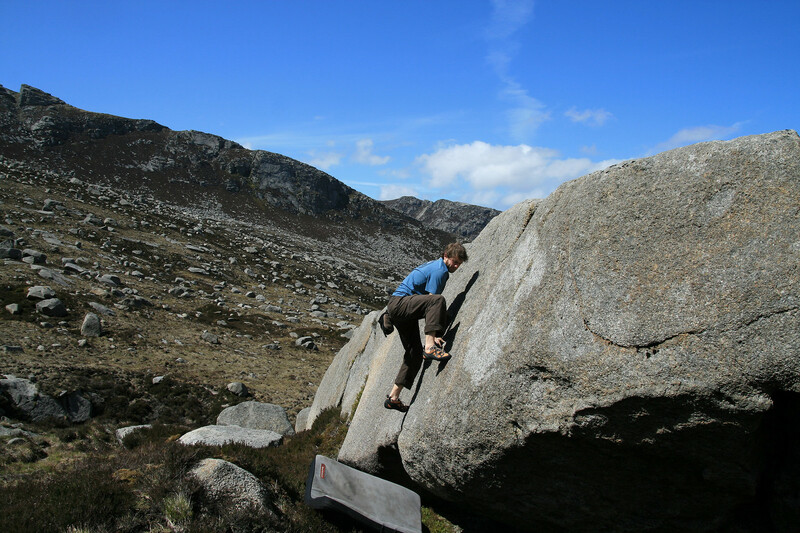 Beastmaker Dan Varian has written a hilarious blog about the ups and downs of Scottish bouldering, cranking out some big new testpieces in Torridon and Applecross in June. Lovingly entitled '3 days in Paradise, 1 day in a Shithole', you can tell he wasn't impressed by Dumbarton! Don't worry, Dan, we feel you and are trying to get the place cleaned up! See here for further developments on the clean-up and development of Dumbarton Rock via the MCOS >>>. 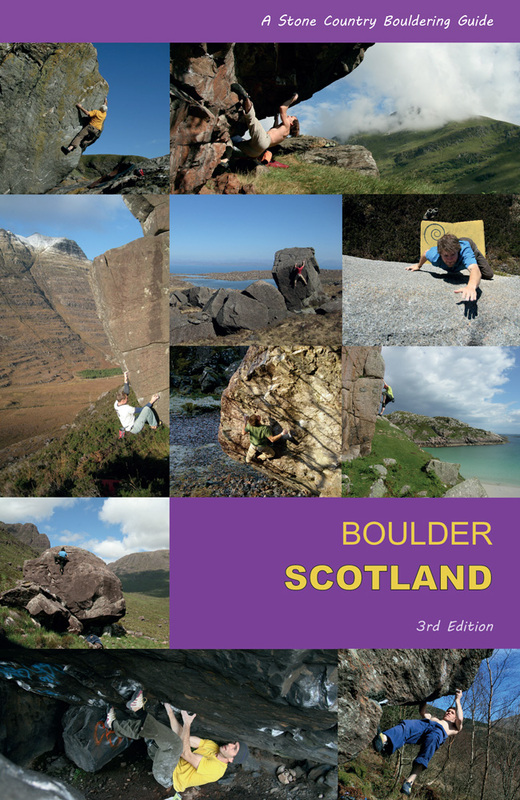 Ann Falconer, Nigel Holmes and others developed some more accessible circuit problems at Coire nan Arr around the Dam boulder and on the excellent wee boulder across the loch, with possibly the cleanest rock in Scotland! 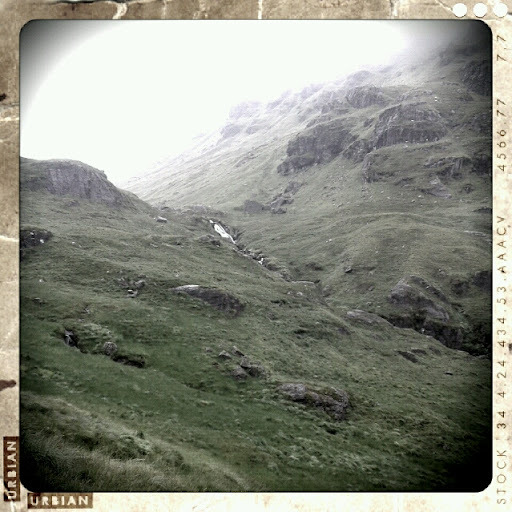 The dam area is extremely accessible and has a good mix of hard lines, projects and perfect 4 to 6a problems. The Whangie has seen some attention as a summer venue for boulderers. This crumbly crag, long a classic trad ground for developing nerve and control on poor rock, actually has an enjoyable circuit of problems from Font 4 to 6c, with the Traverse proving a camouflaged classic 6c - very hard to onsight! If you're limited to an evening's bouldering and want to escape the midges, this will catch any breeze going and the outlook is biscuit-tin classic. 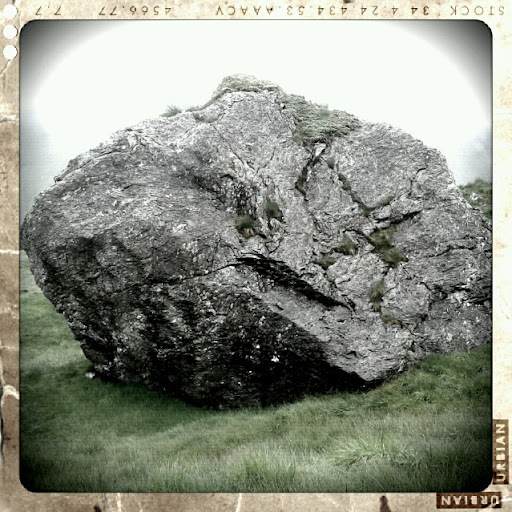 It seems there has been some confusion and misinformation about cleaning of the boulders/crag at Dumbarton. Currently, the issue is in the hands of the MCoS, Historic Scotland and SNH, so please check for official statements on the MCoS website, the most recent of which is here >>> official news. Whilst we may all have different views on how best to manage visual pollution such as graffiti - some would like to see it go, some feel it is part of the urban character of the place - the best we can do is represent our feelings on climbing heritage to the MCoS as our official access representative. 1. We LIKE the place and USE it a lot, in all seasons, so naturally want to see a balance between conservation and the rights of our climbing heritage. 2. We clean the place up independently every year and ought to be recognised, or at least consulted, when decisions are being made on 'cleaning' the rock, which, from our point of view, is a delicate topic - we treat the rock much more precisely than anyone e.g. 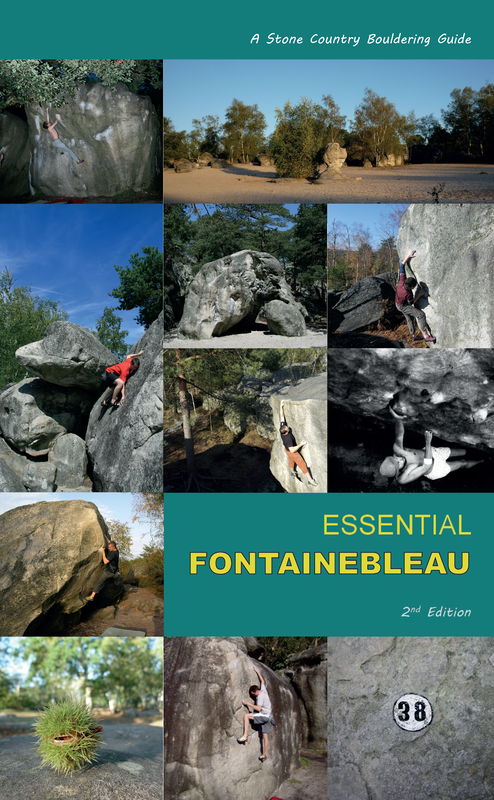 sandblasting and/or chemical treatment could damage the rock and radically change the nature of many climbs. 3. This heritage is not notional - climbers have brought decades of sport, social inclusion and personal development on a uniquely independent scale to Dumbarton and its population. Many people, young and old, have enjoyed the mental and physical benefits of rock-climbing at Dumbarton Rock. We also might cite the achievements of Dave MacLeod who began his career here - arguably the world's best all-round climber. 4. Climbers are generally active conservationists and have the venue's long-term future at heart. If visual pollution by chalk is deemed a problem, we can change to eco-chalk, liquid chalk on hands, no loose chalk and police our own pollution. Climbers have also made significant efforts to counter their own erosion by using mats and gravelling out erosion channels. 5. Hundreds of climbers visit Dumbarton every year, FROM ALL OVER THE WORLD, as it is seen as a world-class crag - thus bringing significant revenue to the town through transport, shops, petrol etc.